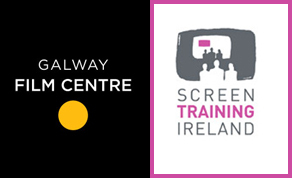 Galway Film Centre in association with the Broadcasting Authority of Ireland and Screen Training Ireland have announced the selected writers in their writing mentorship scheme. Each writer is from or is currently based in the WRAP counties Clare, Donegal, Galway, Mayo, Roscommon, Sligo. The writers' projects include feature films or TV series. The writers will be allotted contact time with script editors from Ireland and the UK over a period of months, as well as receiving an award of €500 each to develop the idea further. Mentors will include Andrew Ellard, Eimear Markey, Mark McIlrath, Oona O'Beirn and Lucy Ryan. The writers will also have access to producers and commissioning editors to guide them to the next stage after development. Currently writing for Ireland’s national soap opera, Fair City, Jennifer is an experienced screenwriter with a background in documentary production and development. Her short film Waiting For Tom was named Best Short Film at the London Irish Film Festival in 2015. Having spent ten years working for a number of Ireland's top independent production company, securing commissions for a wide range of programmes her years spent encouraging other people to have their stories told on screen informs her work as a TV writer. Marty Thornton holds a Masters in Screenwriting from IADT. His story 'The Mighty Quinn' was the November 2017 winner of Hennessey New Irish Writing in The Irish Times. He was shortlisted for the Hennessey First Fiction Prize 2018. He co-wrote 'Vanilla', which was commissioned by RTE for Storyland 2018. He is co-writing 'Queer Street';, which is under consideration for Screen Ireland's New Writing Development Scheme. He is currently working on a novel. Mary Fox holds a Masters degree in Screenwriting from the Huston Film School, NUIG. She was awarded a scholarship to UCLA to attend the professional postgraduate program in screenwriting. She co-wrote 'Vanilla', which was commissioned by RTE for Storyland 2018. She is co-writing 'Queer Street', which is under consideration for Screen Ireland';s New Writing Development Scheme. Fox freelances as a costume supervisor for film and television. Credits include Love Hate, Rosie, Calm As Horses and Four Kids & It. Writer-Director Orla Murphy's credits include the critically acclaimed stage play 'Remember to Breathe', (Winner Lustrum Award Edinburgh Fringe 2016, shortlisted BBC International Playwriting Award), the film 'Nollaig Shona' (IFB/TG4), multiple BAI supported radio plays (Irish Times Radio Moment of the week, Radio Times Pick of the Week) and projects shortlisted for the BAFTA Rocliffe New Writing Award and The Galway Film Fleadh Pitching Competition. A national tour of her play brought Orla back to her rural roots and inspired her project 'Just Desserts a revenge comedy for the #MeToo generation set in a small Irish town. Steve studied Film History and Theory at Trinity College before going on to attend the London Film School where he developed a passion for story and found his focus in writing and directing. His graduation short, 'Coil' premiered at the Galway Film Fleadh in 2015. 'Time Traveller' Steve's second film was funded as part of Screen Ireland's inaugural Focus Shorts scheme. Since premiering at Galway in 2017, it has enjoyed great success, winning the Light In Motion Award for Best Irish Short at the Foyle Film Festival and receiving a Best Live Action Short nomination at the 2018 Irish Film and Television Academy Awards. To date it has played at over 20 festivals around the world including Tribeca, Clermont Ferrand, Edinburgh, Oberhausen and Dublin.